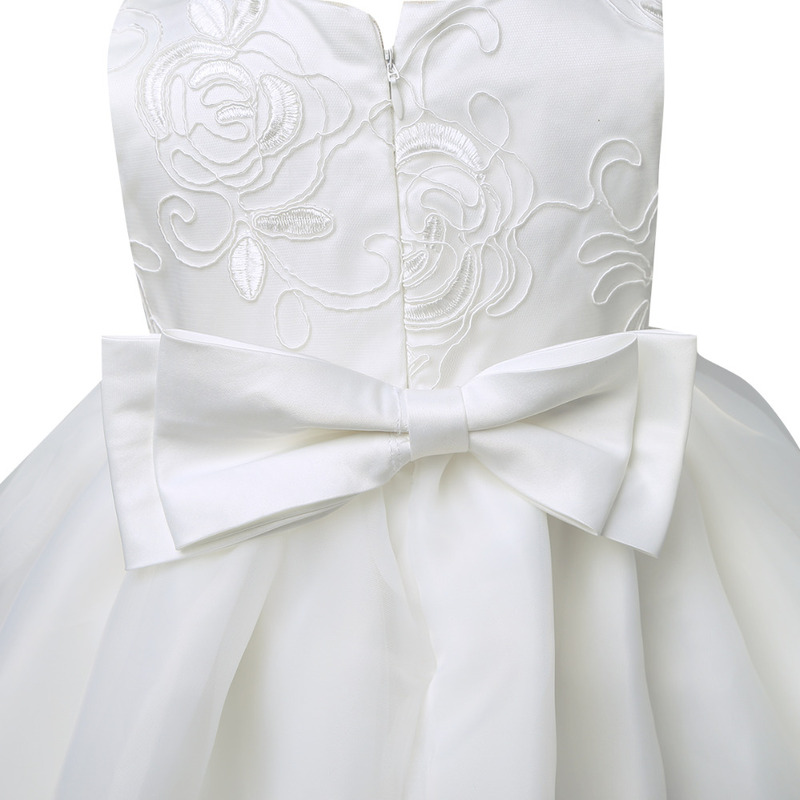 Back with removable bowknot pinned brooch. 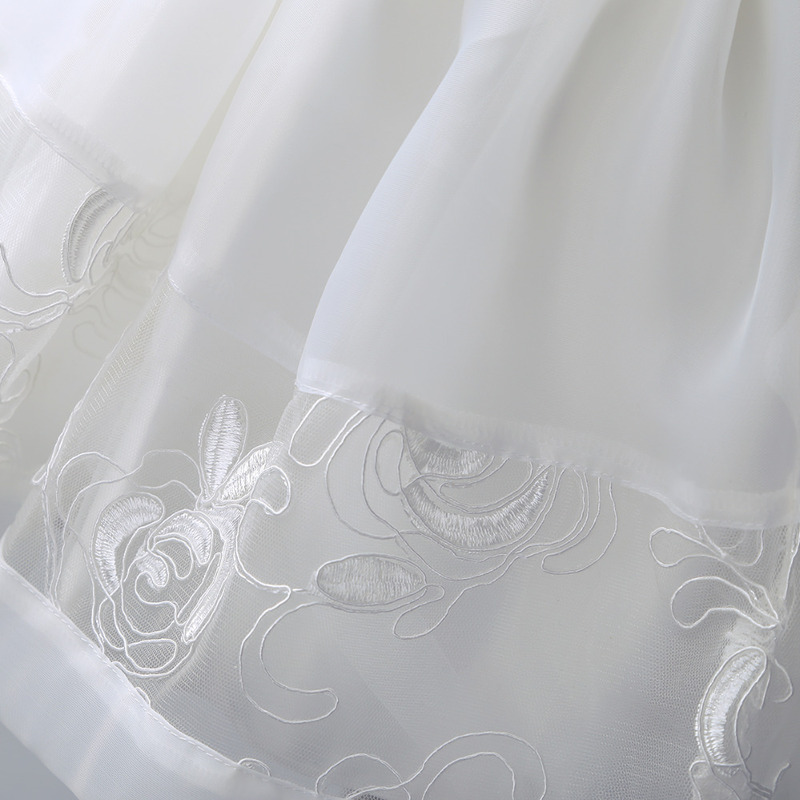 5 layers dress including a top embroidered organza layer, 2 layers mesh, 1 layer satin and 1 lining. 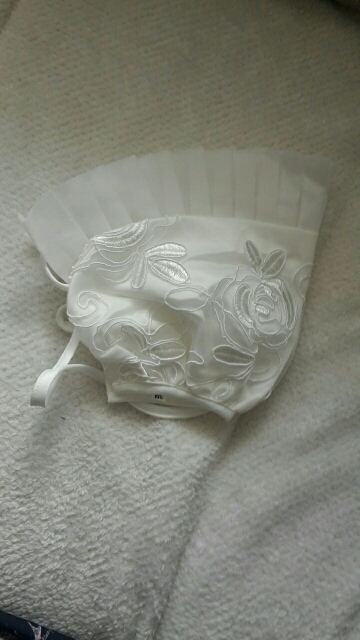 Matching embroidered bonnet with straps tie under the chin. 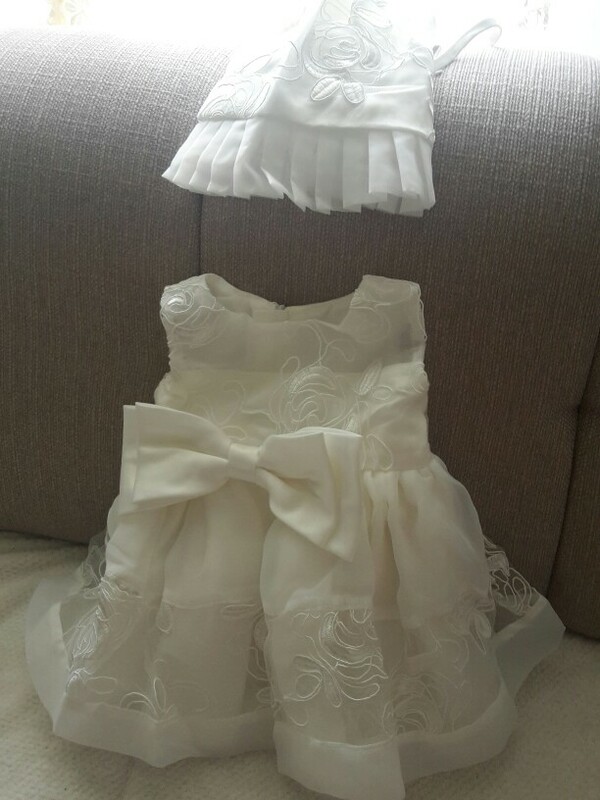 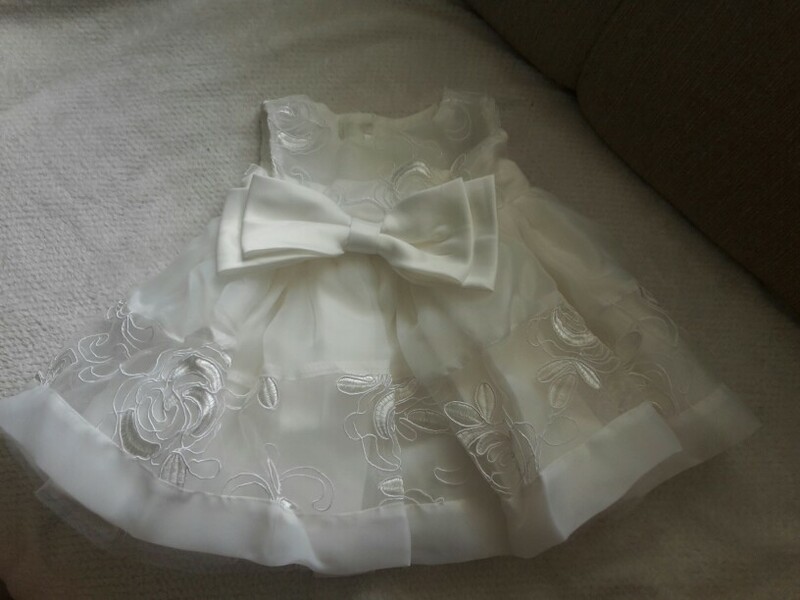 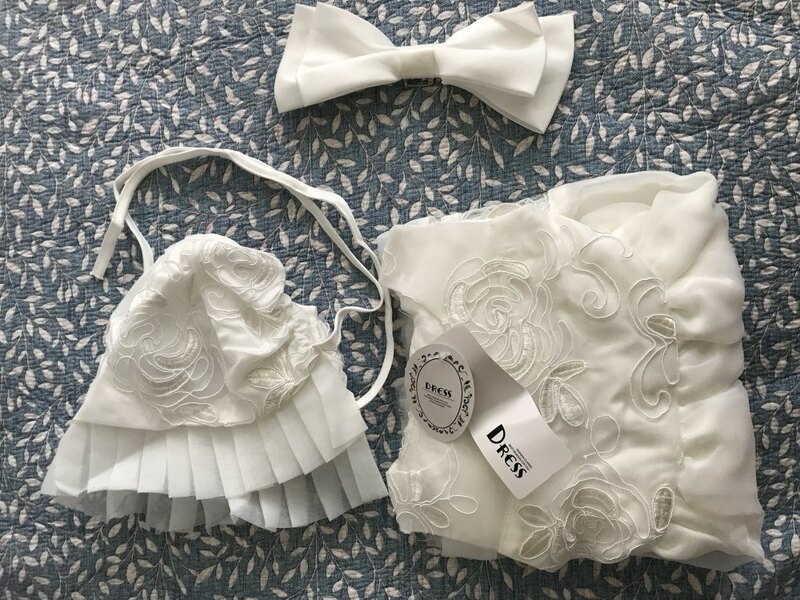 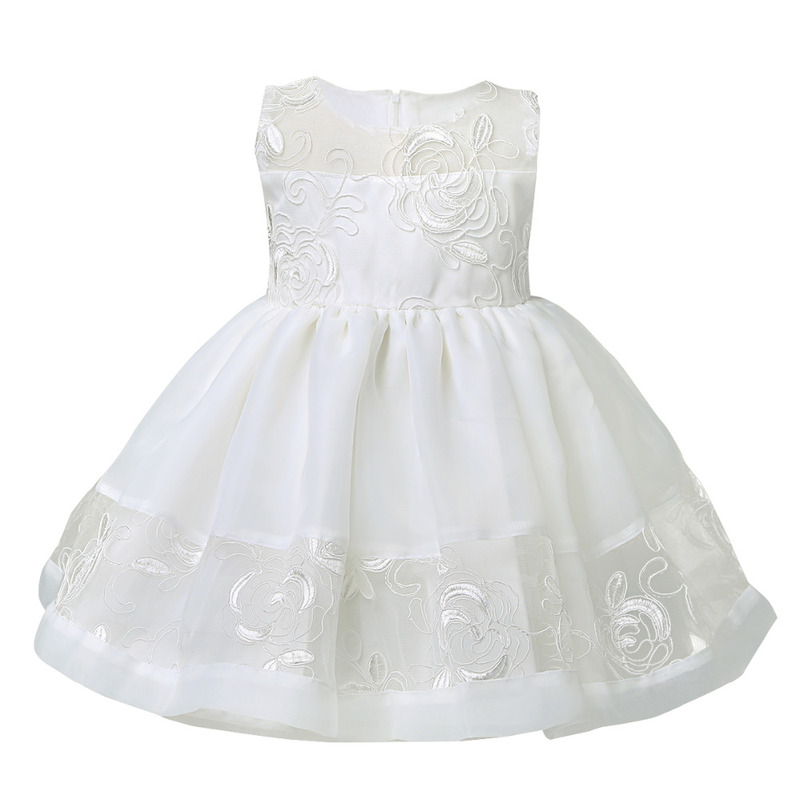 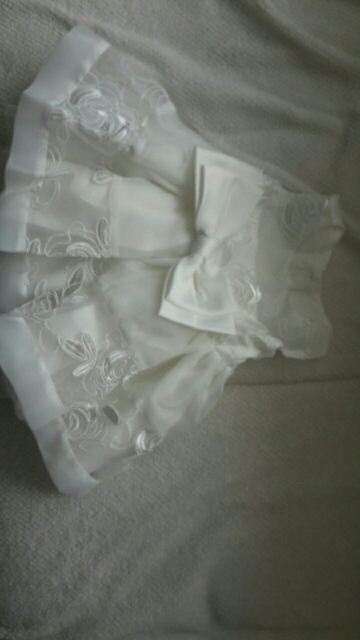 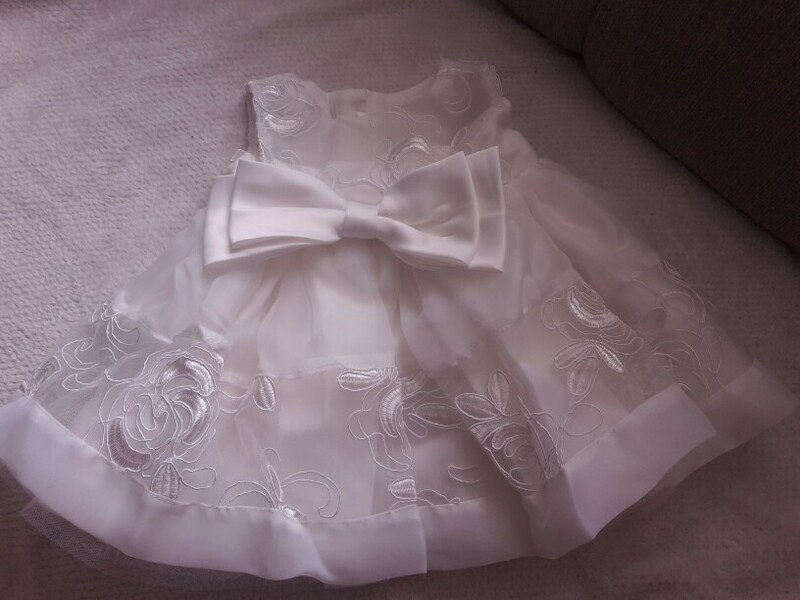 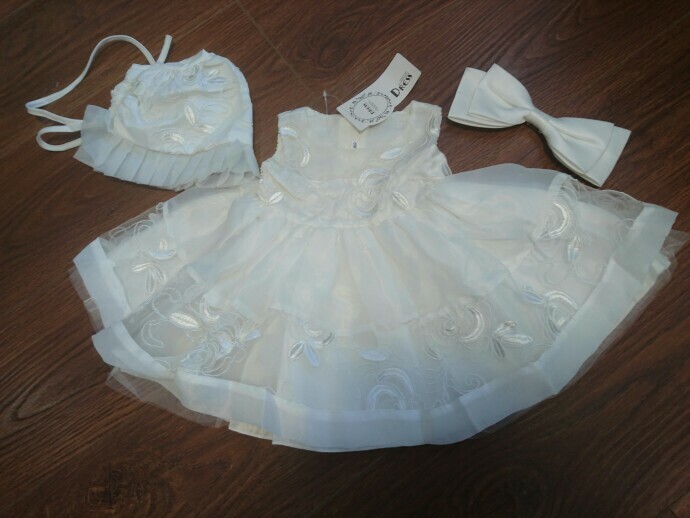 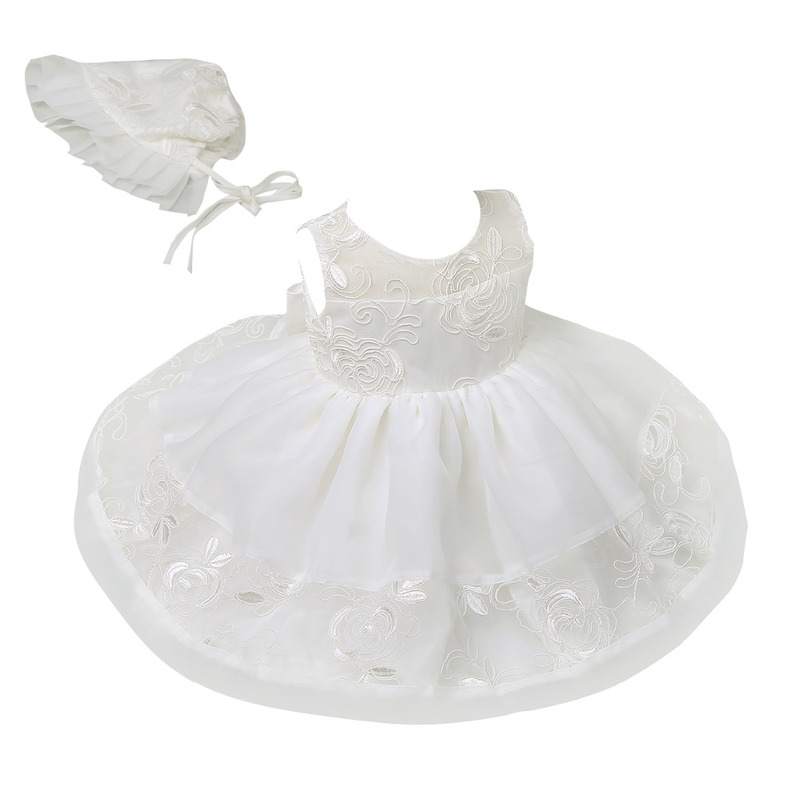 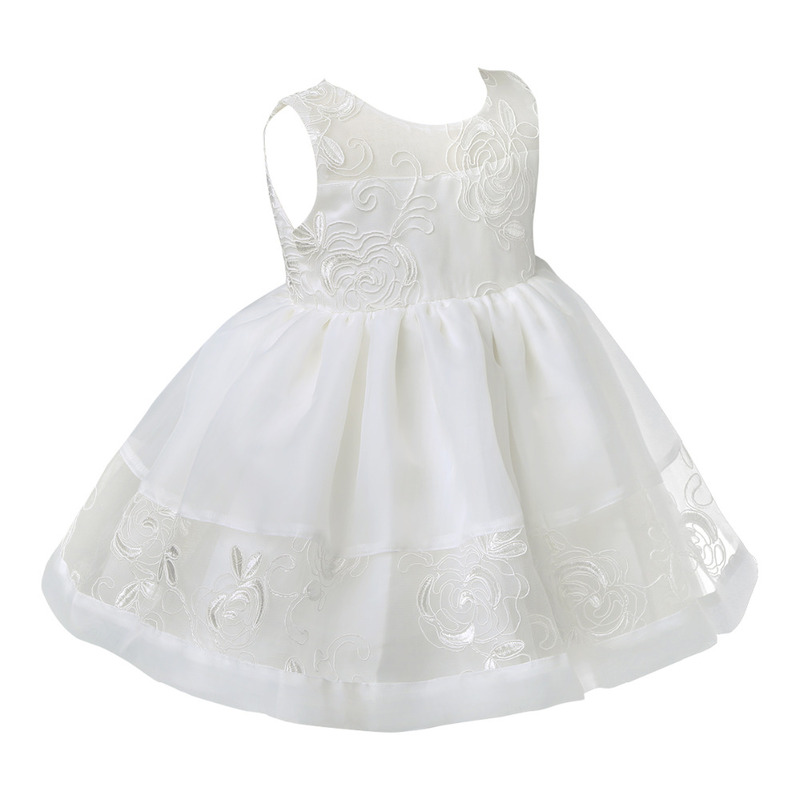 Perfect for baptism/christening, party, wedding, birthday and other special occasions.